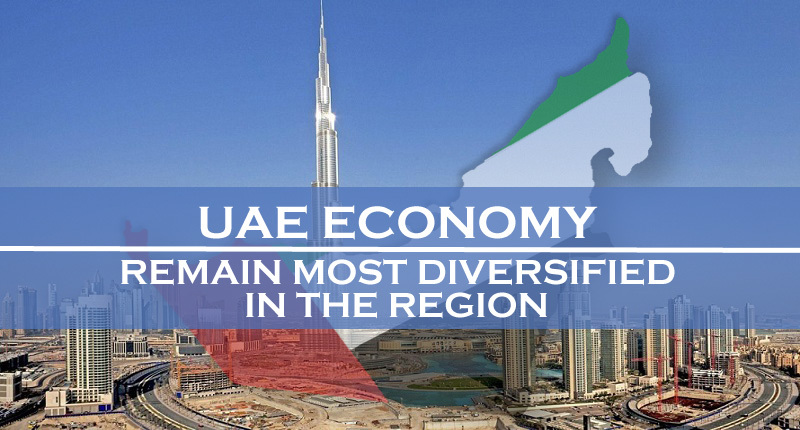 Even during the peak time regarding petroleum prices in international market, UAE was the only country in the Gulf region that was maintaining a comparatively diversified economy. The country, especially the emirate of Dubai, was then providing lots of business and tourism opportunities for foreigners. It is an important factor that its economy remained stable during the oil crisis in 2014 and it was also easier for the UAE to adopt measures in order to further diversify its economy. This factor has now also been acknowledged by renowned international bank, Standard Chartered Bank. The bank’s global chief economist, David Mann, recently said that UAE has the most diversified economy in the region while its adoption of VAT (value added tax) is the right decision according to circumstances. It should be remembered that UAE is one of the two countries (other being Saudi Arabia) in the Gulf region that applied VAT from this year. The bank was also quite optimistic about the prospects of the economic growth of the whole region. It is predicted that the growth rate in the MENAP (Middle East, North Africa & Pakistan) region will remain 3.2% in 2018. The same rate remained 2.7% in 2017. David Mann added that they are expecting huge improvement in the GCC region’s economies that are expected to rise with the growth rate of 2% in 2018 while this rise was just 0.3% last year in 2017. Analysts are also projecting healthy growth of the UAE’s economy in recent year. Senior economist DhuhaFadhel says that the GDP growth in the country in 2018 is expected to remain 2.6% while the infrastructure products aiming for the upcoming Expo 2020 are playing an important part in the current economic boom of the UAE. This recent report by a renowned and respected international institute further enhances the trust on UAE that the country is successfully and seriously implementing changes in its economic structure where non-oil sector is given priority over the less reliable oil & gas sector. This is a clear indication that the economy of UAE will remain strong even during any oil crisis in the future and there is lot of support for various businesses in the rich Gulf nation. This provides immense business opportunities for foreign investors who prefer doing business in a politically stable and economically dependable country. We at Riz & Mona can assist foreign investors by providing both the visa services and trade license in Dubai and all the other emirates of UAE.